Oh Me, Oh My, What a 4th of July! Does your town do this? A funny thing happened on the way to the San Diego Big Bay Boom fireworks on the 4th of July. They all went off at once five minutes before the scheduled beginning of the show. The newspapers referred to this as “premature ignition”. I’m not sure how the pyrotechnician feels about this term. Sounds to me like he has a problem and now the whole world knows about it. Much can go wrong in a day and it can still remain near perfect. 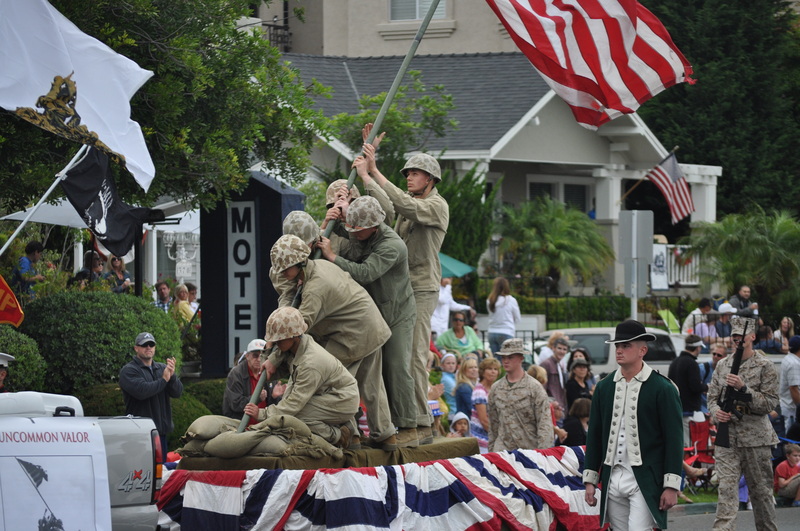 Independence Day in Coronado is like that. It’s a day out of a Normal Rockwell painting. Being a Navy town, it’s celebrated with extreme enthusiasm and nothing can really spoil it. 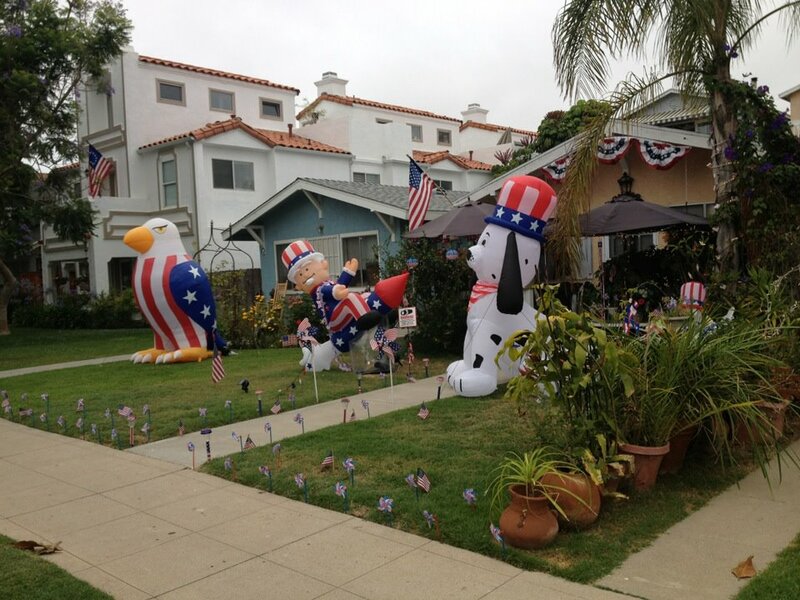 The locals decorate more for the 4th than for Christmas and dress proudly (and often outlandishly) in red, white, and blue. 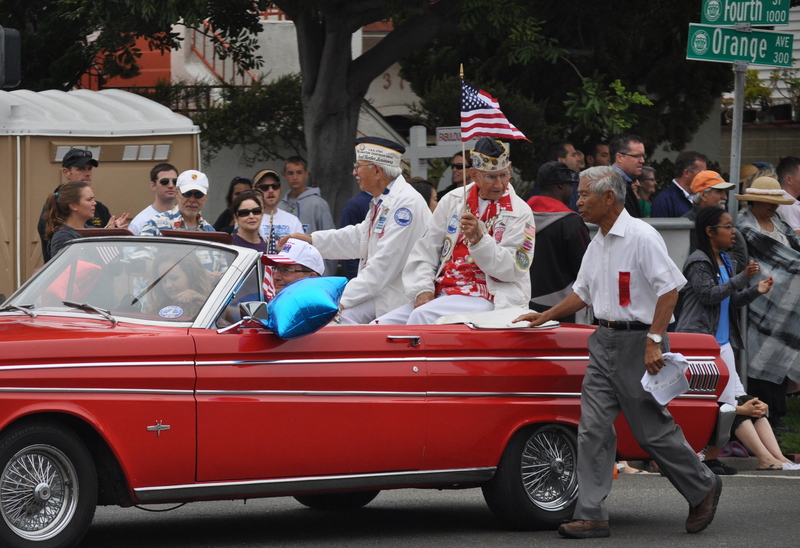 Thousands of people cross the bridge to Coronado to participate in the festivities. We invited eight people and a couple of Chihuahuas to add to the fun and moved our cars to the street to reserve parking spaces. Just for the record, it does rain in California. It rained on our parade. But not enough to dampen the town’s spirit. 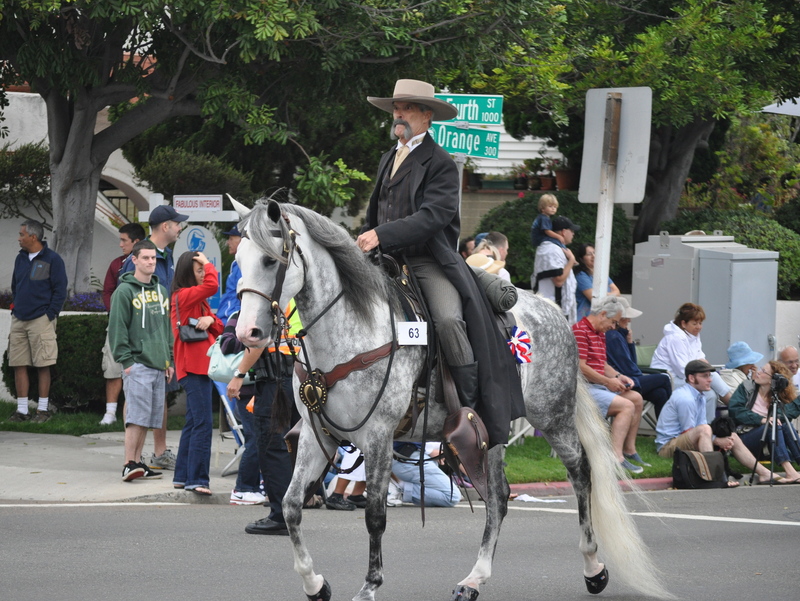 We still had our bands, horses, canine companions, and lots of military out marching in full regalia. And we had the garbage truck. I’m not sure I get the garbage truck being in the parade but it did have a great big American flag draped across the front. I wondered if it was just trying to get to the other end of town to pick up the dumpsters. You know, “if you can’t beat ’em, join ’em”. Traffic can be a problem here . I’ve already made plans to make the 4th better next year. I think we should cook dinner instead of lunch so we won’t be in a food coma and miss the afternoon concert. I’ll make more deviled eggs and fewer ribs. I’ll do the “bike around the island” or the fun run or something that doesn’t involve eating and drinking. 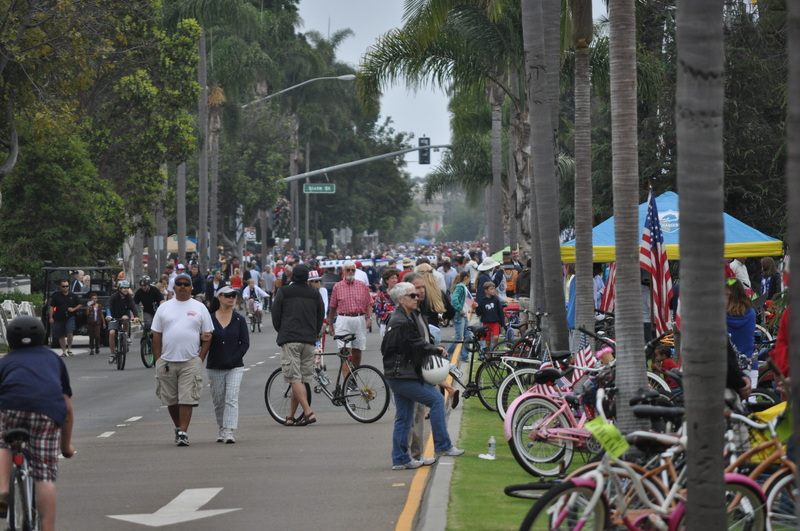 (Although I suspect some of those bikers had knocked back a few,) And I’m counting on San Diego to get it right with the fireworks. In the end though, it won’t matter what I do. It will be a great day regardless. It isn’t about the parade, fireworks, or food. It isn’t even about the company. It’s about celebrating the privilege of living in America. How did you wave your flag? Pearl Harbor survivor and parade official.